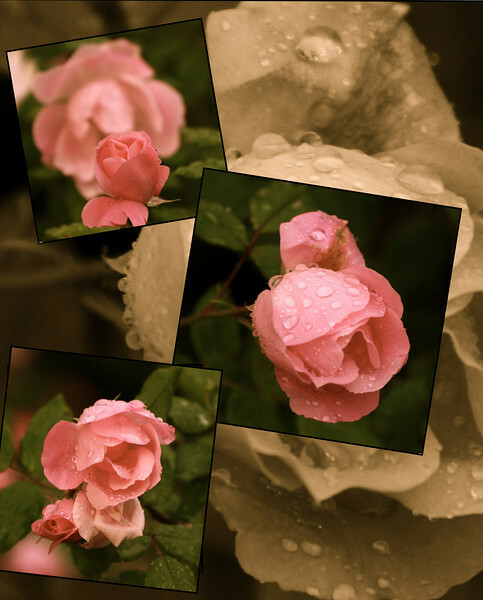 Love the varied captures of the same rose; the waterdrops are an added bonus!!! Lovely! I REALLY like this collage, beautiful detail in the flowers, and I like the way you put the background in sepia -- the warmer tones really bring out the soft pinks in the flowers in a way that black and white wouldn't have. Beautiful--has a very "victorian" feel! I like it!